This week's One Layer Wednesday challenge is hosted by Cheryl and the challenge is to make your sentiment take 'centre stage'. This design is inspired by this one I found on Bev's blog the other day when I was looking through in preparation for her birthday yesterday. I used an old Hero Arts sentiment and coloured it in with copics. I adapted Bev's colourful design to be one layer, and it's easy, peasy and celebratory! Now for a little word on heat embossing - a number of you asked me about my foil-wrapped chipboard and my silicone grabber. I start this story by saying that to my knowledge there is no science about this method, although it does seem to smack of that increasingly-rarely-found thing - common sense. 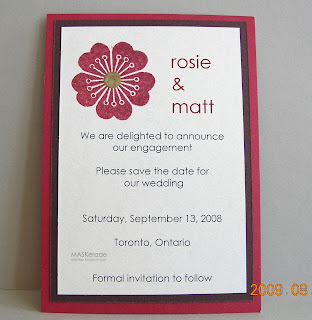 It all started in 2007 when I was making save the date cards for a couple. 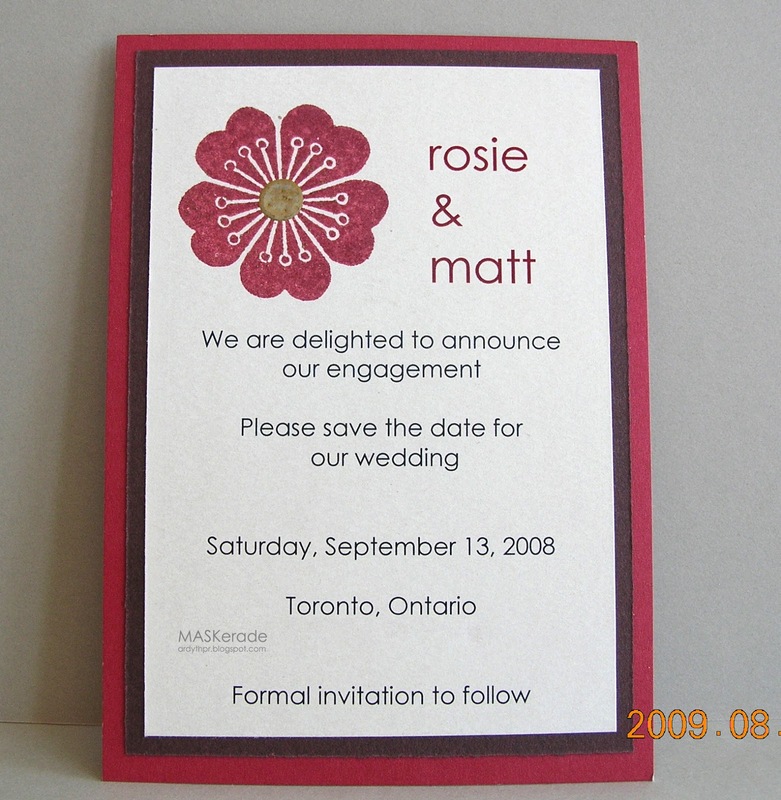 We used red cards and envelopes from Michael's and in order to tie them together, we decided to emboss the flower in clear onto the envelopes (sorry, no photo, but I know you have a good imagination!). Now for the silicone grabber. I usually try to emboss on a larger piece of cardstock than I need so that I don't have to get my fingers too close to the heat gun. But for those little pieces, I used to have those tweezers that came with the 'tool kit' that was popular a few years ago from Michael's. Over time, I found that I ended up with embossing powder melted right onto them and if I used them, that powder would melt again and leave marks on my new piece. I actually saw this contraption on someone else's blog (please let me know if it was you) and managed to find one (brand name Trudeau) in my local kitchen gadget shop (Home Outfitters - I don't think they exist outside of Canada - the link above is to Amazon). I've only used it a couple of times, but one thing that I do like is that the top side of the pincher is smaller than the bottom side, so you can get a good grip on the bottom of the foil board but right at the edge of the top of your cardstock and you are not just hanging onto the edges. The other good thing is that because it's silicone, the melted EP will not stick to it. Here are a couple of pictures that are hopefully worth more than the last 1000 words! LOVE this card! 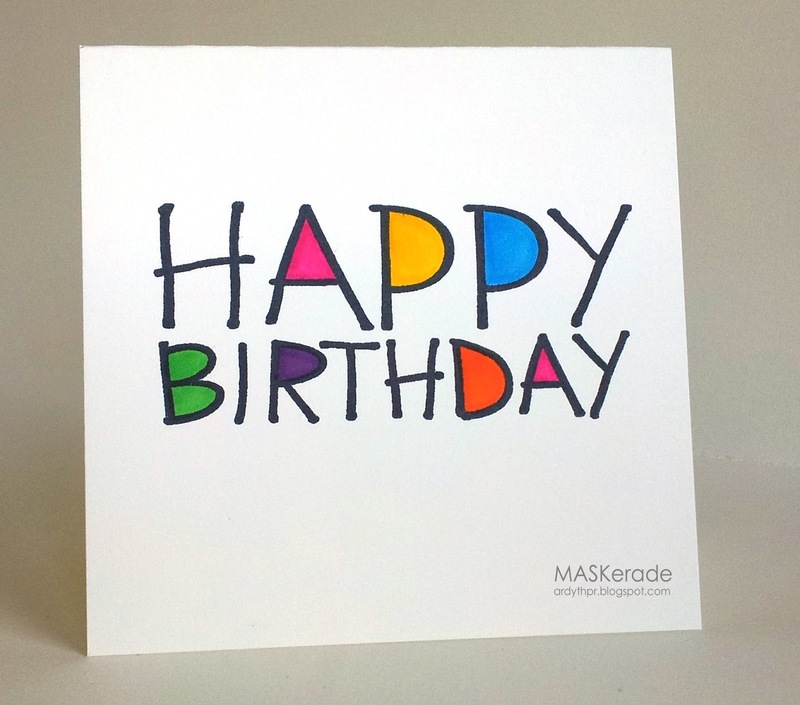 Bev is going to be tickled pink to know that you were inspired by her card! Sweet coloring...perfect for any age group, guy or girl! Thanks for 'splaining your inventions! I have done the tweezers thing with exactly the same results! Will definitely put my shopaholic sister on the trail of this little gadget when she is on one of her shopping trips! Love your gorgeous card. And the heat embossing tips are awesome! Love love love your card, but sorry Arydth seems like science to me! ;) Don't you just love Home Outfitters? Love your card, Ardyth! The fun graphic nature of the alphas are perfect with your coloring! Love the bight funky card! I'll definitely be trying the foil block. 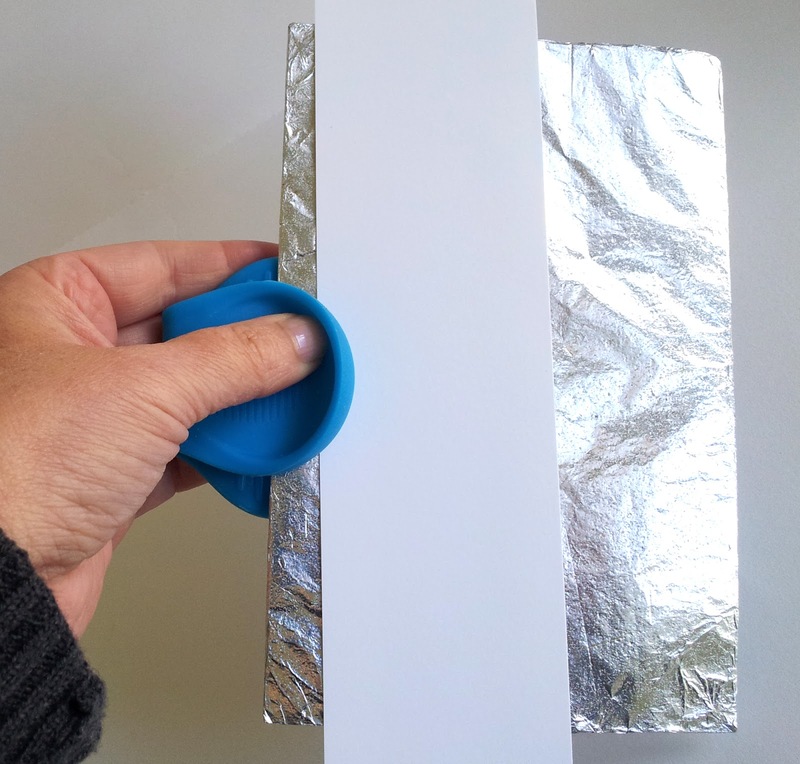 Great idea with the foil! Think I'll have to try that out. 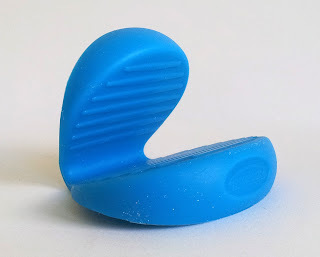 I already have a silicone grabber in the kitchen that came along with a silicone mit. I usually use them for draining potatoes! Ardyth, Thanks for playing along this week. I love your bright, bold sentiment card! So perfect for the challenge. Great embossing tip too. Adorable card and love your heat embossing class too.